eCommerce or digital commerce has revolutionized the business dynamics for retailers globally. Today, consumers have the ease to purchase any product right from their mobile phones. Retailers with brick-and-mortar or mom-n-pop shops are facing challenges to increase their sales as they can only compete with large eCommerce vendors solely on price. This article explains how small retailers can leverage the power of mobility through in-store mobile technology to increase customer footfall in their stores, leading to higher sales and profitability. eCommerce and online retailing has substantially affected the brick-and-mortar retail businesses through its prominence. They are further threatened by the success of web-enabled mobile stores. The simple reason behind this threat is that smartphones empower consumers (m-shoppers or mobile-assisted-shoppers) with a personalized shopping experience on how-they-shop and what-they-want to shop. If brick-and-mortar retailers fail to innovate their traditional style of conducting business; they are bound to face stiff competition from online retailers and m-shoppers. Without adopting new technology like in-store mobile apps, mobile payments and mobile marketing, they are at a higher risk of being thrown out of the competition. Multiple channel retailers – one having online and offline presence are generally at a distinct advantage when compared to offline-only retailers. In-store mobile shopping has revolutionized the buying patterns for consumers. The mobile shoppers or mobile-assisted-shoppers can be broadly categorized as Traditionalists, Experience Seekers and Price/deal Savvy. Traditionalists prefer in-store shopping experience whereas Experience Seekers desire best shopping experience, not necessarily the best price. On the other hand, Price Savvy consumers are premeditated about lower prices and greatly value deals. Global retailers are beginning to realize the significance of creating a separate sales channel that leverages m-shopping behavior to achieve higher sales. Forward thinking brick-and-mortar retailers have started utilizing the power of mobile technology to bring in enjoyable, engaging and differentiated digital in-store shopping experience for their customers, and in turn increase business for themselves. Cutting edge mobile technologies has a lot to contribute to the traditional brick-and-mortar businesses. 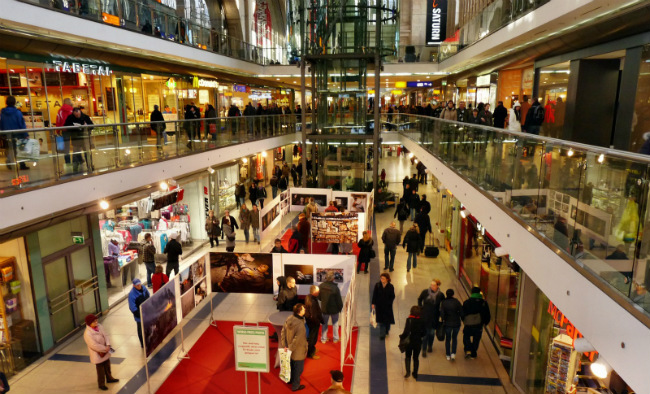 Below are a few mobile technologies you can implement in your retail store. Retailers can leverage mobile technologies to creatively engage with their customers through various smartphone applications. Beacons or iBeacons are a low-cost piece of hardware that can transmit messages, locate mobile devices and also enable payments at point of sale. How are beacons used in retail? Analyzing large datasets of customer data to reveal buying patterns, trends and associations with respect to human behavior and interaction. Retailers can discover what customers are doing within the store, what they are looking at and for how long eventually tracking what they buy. This analysis helps retailers in understanding consumer behavior and interaction. It can also help increase customer engagement by sending personalized messages through direct appropriate sales promotional offers, discounts and distribute coupons. Beacons are more about proximity to a micro location than the location itself. Retailers can utilize its fullest potential to deliver appropriate multimedia content, product details, information about deals and coupons in real time and provide aisle directions to deliver a more delightful shopping experience for the shoppers. Staff members of small retail stores can offer valuable support and assistance to the shoppers, once their in-store presence can be confirmed through beacon. The mobile application can also facilitate customer-staff interaction when the customer is not in store; a big incentive to gravitate towards the retailer. In-store customers can be navigated via beacons to products preferences based on the saved shopping list. This can greatly reduce their shopping time and would love the assisted buying experience. A virtual layer on top of real or physical environment. 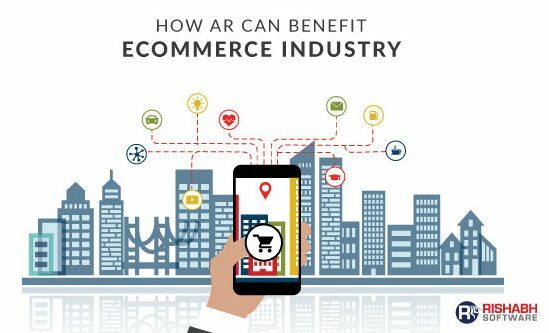 Augmented reality as a technology is exciting, promising and has a lot to offer to the retail players. How a particular retailer applies augmented reality depends on products or the services on offer. How are retailers using Augmented Reality? AR is already being employed very creatively by the retailers to deliver a great digital experience to their customers. For instance, many jewelry, apparel and footwear retailers allow their customers to try out their products by augmenting their products onto themselves through mobile applications using in-built camera. Many furniture or paint shops allow customers to capture image of their rooms or walls and try out furniture or paint colors to assist them in decision making. The use of augmented reality is only limited by one’s imagination. Read more about a virtual reality app for the paint industry developed for a client. This is one of the most widely used technologies by retailers today. Shop owners can send promotional messages when a customer is detected in the vicinity of a competitor’s location. Retailers having presence at multiple locations can assist their customers by letting them locate the nearest retail outlet. This is ideal when you have multiple stores in a particular city. A mobile Point Of Sales or POS is a mechanism to simplify the customer’s checkout experience through a smartphone or smart device. As soon as a customer finishes shopping, they can approach any sales staff. The staff member can assist generating an invoice and take payments through a mobile device. It also creates an opportunity for the sales staff to engage in a meaningful way with the customer. More often than not it will result in a better shopping experience for the customers. An added benefit being that it leaves less time for the customer to change their minds. On the other hand, for staff members it is an opportunity to cross-sell or up-sell any of the products. Many retailers have implemented self-checkout counters through which customers can scan their shopping and pay using a mobile checkout application. Abbreviated as a Quick Response Code, is a two-dimensional barcode that can be read by a device through its camera to identify the optical label that contains information about the item to which it is attached. More and more retailers are utilizing QR codes for their mobile app distribution. They provide them at the store entrance or at different places in-store to motivate the customers to use their mobile application to enhance their shopping experience. Customers scan it to download the application. Customer’s printed receipts can have QR Codes on them. Receipt’s electronic version is emailed to the customer upon scanning the code. Stores can allow pre-purchase of the product and services to their customers via smart phones. They are ready to be redeemed at the store for the customer. Customer service applications are a great way of enhancing customer’s in-store experience by making their visit productive and enjoyable. It also gives them a compelling reason to visit the store rather than shop online. The applications can serve one or many objectives such as customer help, staff member assistance, broadcasting and letting them sign up for workshops and events, pre-buy products and services, view transaction history, track reward points and reward customers when they visit the store. The use of mobile in retail – online or offline is only set to grow in years to come with improved mobile penetration, device sophistication and advent of emerging technologies. For a brick-and-mortar retailer it is becoming increasingly vital to have a multichannel presence (offline as well as online) in order to compete. Rishabh Software provides cost-effective and ready to market brick & mortar retail solutions and services to our global clients. We understand the need of leveraging mobile technology in the retail space to improve profitability and gain a competitive advantage.